The University of Hawaiʻi at Mānoa will celebrate its 2018 Mid-Year Commencement Exercise on Saturday, December 15, in the Stan Sheriff Center (SSC) on lower campus 9–11:30 a.m. It is a combined undergraduate and advanced-degree ceremony. Graduates should report by 8 a.m. The student procession will begin at 8:30 a.m.; ceremony begins at 9 a.m. More than 800 candidates for certificates, bachelor’s, master’s and doctorates are registered to participate in the ceremony. 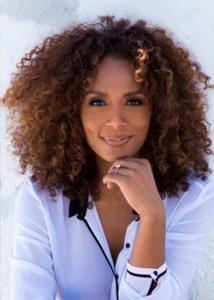 The keynote speaker is nationally recognized author and television host Janet Mock, a native of Honolulu who attended UH Mānoa. Mock is a sought-after speaker and advocate who addressed millions on stage at the Women’s March in Washington, D.C.
Attendees should be aware of expected traffic congestion upon entering and exiting lower campus. Free parking is available on upper campus and in the lower campus parking structure, which opens at 5 a.m. Please approach the campus with caution, and arrive early to avoid delays. The Waiʻalae entrance will be closed before and during the ceremony. To view a live webcast of the ceremony, and for more information, please visit the commencement website. Doors to the SSC will open at 7:45 a.m. The ceremony is free and open to the public. No tickets are issued, and seating is on a first-come, first-served basis. Attendees are urged to arrive early, as the doors will be closed when the arena reaches maximum capacity. Prohibited items include balloons, large signs, outside food and drinks, strollers, noisemakers and animals (except service animals). Attendees are encouraged to bring in lei without plastic boxes to help in the effort to reduce waste as part of UH’s sustainability effort. Overflow seating for the ceremony is in the Les Murakami Stadium. The ceremony will be shown live on the stadium screen. Food will be available for purchase at concession stands in the stadium. The H-Zonestore at the SSC will open from 7:30 a.m. until the end of the ceremony. It will offer a discount on alumni apparel items and accessories (does not include commencement regalia). Campus parking is free. Disability accessible parking stalls are located on the third-floor Diamond Head side of the parking structure, with additional stalls distributed on each floor on the ʻEwa side of the parking structure and throughout lots on the main campus. For disability access information, call the UH Mānoa Commencement Hotline at (808) 956-GRAD (4723). A parking shuttle service will be provided from 10:30 a.m. to 2 p.m. from upper campus (main campus) to the SSC on lower campus. Shuttle buses are wheelchair accessible and run a continuous route from the Biomedical Science Building to Krauss Circle, where riders may exit and walk to lower campus at the traffic light and crosswalk located between the law school library and law school. For shuttle return trips throughout upper campus (main campus), passengers may board the shuttles at Krauss Circle and will be dropped off at stops along the way. After the ceremony, guests may meet graduates to bestow their congratulations and lei near the appropriate alphabetical signs on the Clarence T.C. Ching Field (last names A–K) and the Les Murakami Stadium field (last names L–Z). Alphabet signs will be posted and maps will be available in the commencement program. Please refrain from bringing the clamshell plastic containers to the ceremony as the empty containers overwhelm campus trash containers. The campus is making a strong effort to reduce waste as part of its sustainability efforts. Authorized lei vendors will be set up within Ching Field on the pool side of the facility.